A HP-12C implementation for astrophotographic and visual calculations. It runs on the legendary HP-12C calculator. If you want more comfort and much more features get the free .NET version! 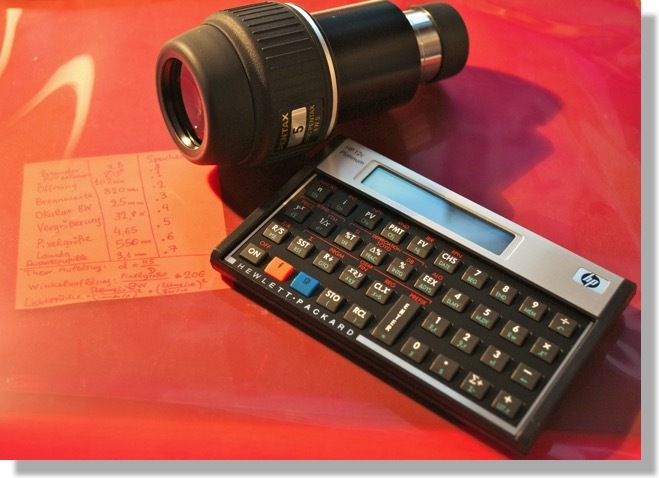 "AstroDigital.Net for HP-12C financial calculators“ is freeware and it is distributed as a single, free-of-charge PDF document. - Turn on your HP-12C calculator and type the program. - Invoke the program as explained in the PDF document.